In our previous post, we discussed some of our Essex wedding florist approved tips and tricks for picking out the best wedding flowers for your big day. Your flowers only make your dream wedding that much more beautiful, so follow these tips to ensure these accessories are perfect for your special day! We understand that weddings can be expensive, and wedding flowers are no exception. If you have a strict budget to stick to for your wedding, make sure to choose flowers all in the same hue to make the biggest impact. This is because a monochromatic color scheme makes everything look more organized and upscale, no matter the number of flowers you buy. Make sure to design your flowers in a way where they can be reused for both the ceremony and the reception! You’ll save time and money doing so and it couldn’t be easier to keep your theme consistent between both venues. While there may not be any specific rules to follow when it comes to choosing the right wedding bouquet, it is a good idea to keep the dress silhouette in mind during the decision-making process. For example, if you have simple sheath dresses, a cascading bouquet with long stems may be a good idea, and if you have a big ballgown, a more rounded bouquet could be a better option. 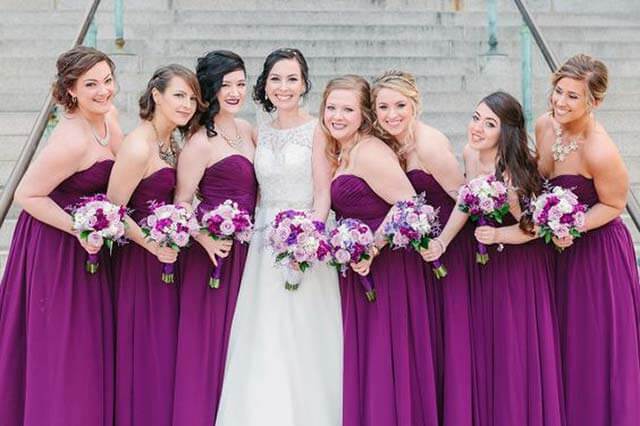 Likewise, don’t forget about your bridesmaid dresses. Make sure the color of the dresses doesn’t clash horribly with your floral arrangements. 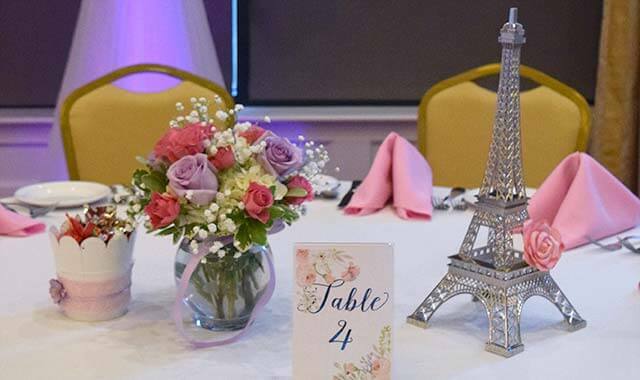 We all know how popular photos of wedding florals can be online, with pictures of bouquets and centerpieces everywhere on your social media timelines. Bringing photos with you is always a good idea when it comes to making your vision clear to your florist, but it is important to know that you may not be able to get exactly what you want. You will have to take into consideration the season, your budget, and how big your venue is before you make your final decisions. With these tips in mind, you will be on your way to having the best wedding flowers possible! Considering that there are currently over 36,000 florists across the United States, it is important you pick the best one for your big day. Our Essex wedding florists are here to help you with any and all of your needs, so please call today!